Recently renovated apartments and a convenient location make Colonie Apartments an ideal place to call home. 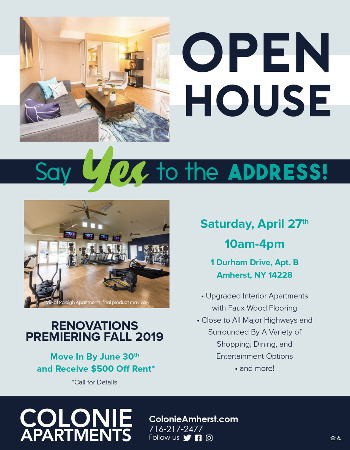 When you add gorgeous interiors brimming with natural light and exciting amenities including a full size tennis court and a sparkling swimming pool, our apartments in Amherst, NY truly have it all. Just minutes from University at Buffalo and close to all major highways, Colonie Apartments is surrounded by a variety of shopping, dining and entertainment options to make life a breeze. Welcome to the living experience you've been waiting for.